One of the great benefits of social media and the web is the increase of communication tools. Many of us have used YouTube to find music or entertainment – who knew so many people loved to watch cat videos? And, I personally never imagined how many people loved making cat videos. But entertainment aside, video also offers us a great opportunity for learning and education. We love receiving videos from vendors that provide product demonstrations, new product introductions and more. Especially helpful training videos, like the one below from Vollrath. When it comes to disposable flatware, you can either settle for flimsy, substandard plastic flatware that will snap the second pressure is applied, or sturdy, appealing flatware that functions properly and offers some additional benefits at the same time. 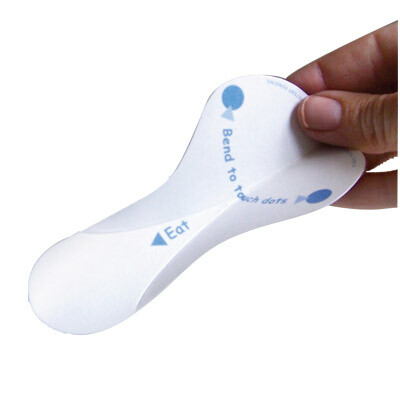 If you have ever been on the receiving end of plastic ware that delivers headaches and not much more, then you know just how important making the right choice is. Throw security considerations into the mix and you are faced with one huge challenge. We found three of the most innovative and economical disposable flatware on the market. FSE disposable flatware is a top performer because of its durability and cost-effectiveness. You can get teaspoons, forks, knives, soup spoons and even flatware kits to really make things easy. Ecotensil has moved to the top of the market particularly for high security applications. This large, silky-smooth, spoon is easy to use and recyclable-plus, it comes in a variety of different sizes and made in the USA. The best part is, they remove worry from situations where safety is important and crucial. With the strength to stand up to everyday dining tasks like cutting foods and piercing meats, and offering great looks in the bargain, Hoffmaster flatware is the clear winner. This flatware is also biodegradable and 100% compostable. Their spoons, forks and knives will hold up well in the dining room and is surprisingly economical. An all-around outstanding choice. The Flex Line and Sentry Series both have security benefits while copolymer and polycarbonate are all about durability and great value. You’ll see demonstrations of all these products in the following video. If you have any questions, please don’t hesitate to give us a call at 800-956-5571 and we’ll be happy to help you!. And be sure to check out our other videos on the Cook’s Correctional YouTube Channel. Listen to CEO of Cook’s Correctional, Jeff Breeden, share the story of how Cook’s began 18 years ago and flourished into the success it is today. Kitchen Equipment -How long Will it Take to Install? Year-end spend deadlines are looming and many of our customers use this as an opportunity to replace equipment that’s nearing the end of its life. If you are considering a new piece of equipment for your facility or replacing an existing piece, it’s a good idea to review the Cook’s Equipment Sizing Guide to be sure that whatever you purchase has the capacity to meet your production needs. The equipment sizing guide will help you find the right sized pieces for your population. Read from left to right for the number of inmates. If you need any assistance, our sales reps are always happy to help you. The Rhino Cart is an extremely durable, one-piece insulated tray delivery cart. Made from FDA approved high impact polyethylene and fully insulated for strength and superior heat retention. The Rhino Cart is only 29 ¾” Deep so it fits through narrow 30” doorways – going where many other carts can’t go. Rugged molded-in hinge pin doors open 260o giving you unobstructed access to the interior for easy loading, unloading and cleaning. Quick delivery time of approximately 2-weeks from order date (excludes shipping time). But while a picture is worth a thousand words – a video is even better! Take a look at our Rhino Cart demonstration video featuring Jeff Breeden, CEO of Cook’s. How do you serve your inmates? And how do you transport your meals? The first step is to analyze your menu and determine the appropriate tray layout. Tray configurations can range from 3-6 compartments depending on your menu requirements (6 being the most popular). It is best to begin by analyzing your meal schedule for a month. From there, determine what is the highest number of items you serve in one meal and that will tell you how many compartments you’ll want to get in your tray. The final consideration is your flatware and condiments, there are trays with flatware compartments(check out the Gorilla Tray or Marathon Tray) and tray’s without them (see the Gator Tray or Grizzly Tray). Next, you need to determine how your meals are served. If you serve in a cook/chill or re-therm environment we recommend that you research trays with a wide temperature range, like the Cook’s Flex Trays–best for high security environments. With the cook/serve method, first determine if you have a cafeteria style environment or you transport to a pod. Depending on your situation, you need to consider tray stacking and ways to avoid overflow. Finally, the tray you choose is influenced by a wide variety of elements-from what you serve to how you serve it. You can transport your trays in an open or closed tray delivery cart (see Cook’s Brand Carts). It is critical you keep temperature around 180 degrees so you can deliver and serve at a minimum temperature of 140 degrees. Cook’s has an extremely deep assortment of insulated trays to meet all of your correctional serving needs, for more information visit the Tray Buying Guide or check out the wide selection of trays available at cookscorrectional.com. Holidays mean baking! Understand your baking pans. To meet the various needs of your food service operation, you’ll find baking pans in a wide variety of shapes, sizes and materials. When you’re choosing a pan, be it a loaf pan, muffin pan or sheet pan it’s good to see what the market says about those pans or to see what you are using currently that you prefer to cook with in your operation. The different materials, thickness and design of the pan will impact your final product – and you don’t want to end up with foods that stick to your pans or are burnt on the edges and not fully cooked in the center. Baking Pan Sizes: Varies on application. The size of baking pans depends greatly on its type. Loaf pans range from around 6 x 3 inches to 12 x 4 inches. Cupcake pans or muffin pans accommodate 24 3-1/2 oz cupcakes and cake pans are available up to 18 x 24 inches. Sheet pans come in full (18 x 24 inches), half (13 x 18 inches) and quarter (9 x 13 inches) sizes. These will accommodate many different types of baked goods. Finish: Non-stick or Natural. Some baking pans have non-stick surfaces while others retain their natural, uncoated surfaces. The obvious benefit to a non-stick pan is that foods are easily removed from the pan and edges stay intact. Often these pans are darker in color and require an adjustment in the baking temperature and time. The finish is often up to the preference of the chef. All types of baking pans can be found on Cook’s Correctional in the baking pan category. In the US, the Food and Drug Administration (FDA) establishes minimum internal temperatures for cooked foods. Any commercially processed, ready-to-eat foods that will be held for a length of time before eaten. In addition, hot food must be held at a minimum internal temperature of 135 degrees F (57 degrees C) if it is not immediately consumed. The temperature must be checked every 4 hours or else labeled with a discard time. Although monitored hot food can be held indefinitely in this way without a food safety concern, the nutritional value, flavor and quality can suffer over long periods. 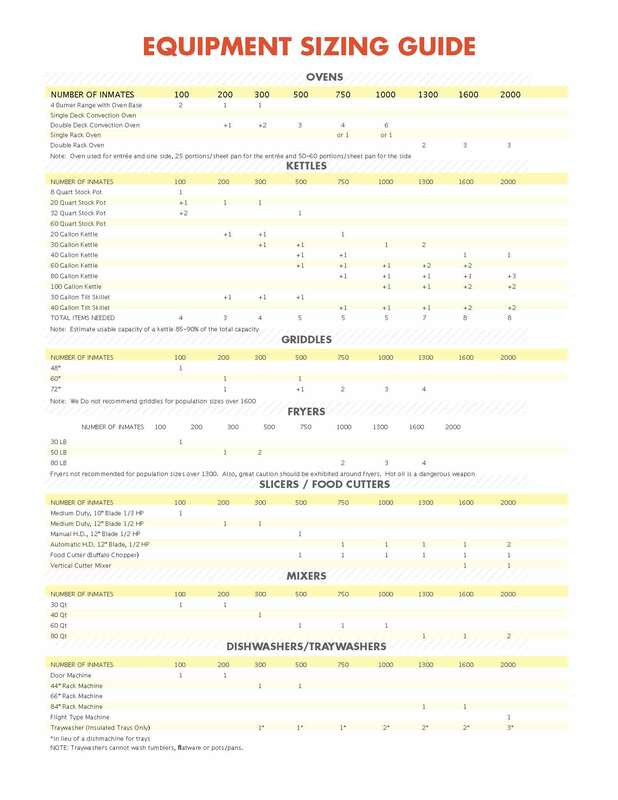 You can find more helpful cooking information in the resource section of the Cook’s Correctional Buyers Guide which is available for viewing on CooksCorrectional.com.